Judge Issues Trump a Timely Reminder That the Rule of Law Applies at the BorderAs Trump reportedly issues illegal demands on immigration, a judge ruled that a program forcing asylum seekers to wait across the border must end. Who Will Do Trump’s Bidding at DHS Now That Kirstjen Nielsen Is Gone?Trump wants immigration policy to be tougher. These people could make it so. Report: Trump Is Desperate to Get Rid of DHS Secretary Kirstjen NielsenKansas’s Kris Kobach is among those who could replace her. Inspector General: Family Separation Policy Was a Disaster From Its InceptionOne child was kept in a chain-link holding pen for 25 days, far surpassing the 72-hour legal limit. 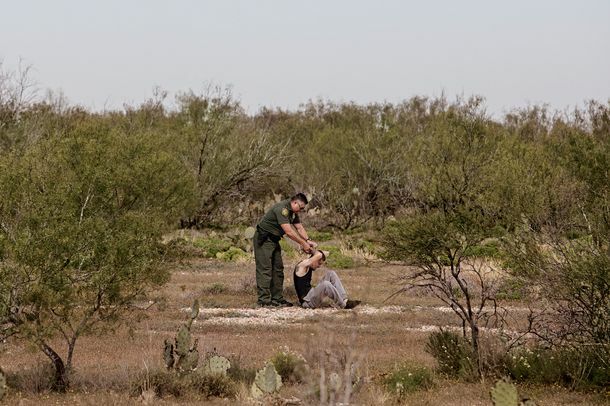 Six Senators Ask DHS to Address Alleged ‘Coerced Labor’ in Detention CentersDetained immigrants are allegedly being forced to work for one dollar a day. Department of Homeland Security Drafting Plan to End Family Separation: ReportTrump has indicated he will sign it. DHS Secretary Nielsen is Not MAGA Enough for Trump’s White HouseApparently minding her own business in 2016 makes Nielsen a member of Never Trump. John Kelly: Leaving DHS to Work in Trump’s White House Was Punishment From GodOnce Trump hears about this, Kelly may not be there much longer. Why the Trump Administration’s DACA Policy Is IndefensibleTrump does not want to deport the Dreamers — he only wants to torture them until Congress agrees to pass legislation it otherwise wouldn’t. Trump Will Nominate John Kelly’s Deputy Kirstjen Nielsen to Head DHSIf confirmed, she will be just the third women in Trump’s cabinet. Hurricanes Scuttle Huge ICE RaidsThe agency had plans to conduct its largest-ever operation later this month, but Harvey and Irma got in the way. Scheme to Get Republicans a 53rd Senate Seat Collapses As Manchin Stays PutA rumored game of musical chairs had Perry going to DHS, Manchin to Energy, and a West Virginia Republican to the Senate. But in the end nobody moved. Trump Administration May Expand and Expedite DHS Deportation PowersThe new plan would dramatically expand where and when the government could target immigrants for deportations which bypass immigration courts. Controversial Sheriff David Clarke Will Not Take Homeland Security PostAnd yes, it’s now been confirmed that they did in fact offer him the job. White Hopes Opens New Office Devoted to Encouraging Fear of ImmigrantsVictims of Immigration Crime Engagement will aid the victims of crimes committed by undocumented immigrants (unless those victims are undocumented). Trump May Make Visitors to U.S. Hand Over Their Social-Media Passwords“Extreme vetting” may require even short-term visitors from U.S. allies to hand over their phones, passwords, finances, and ideological views. 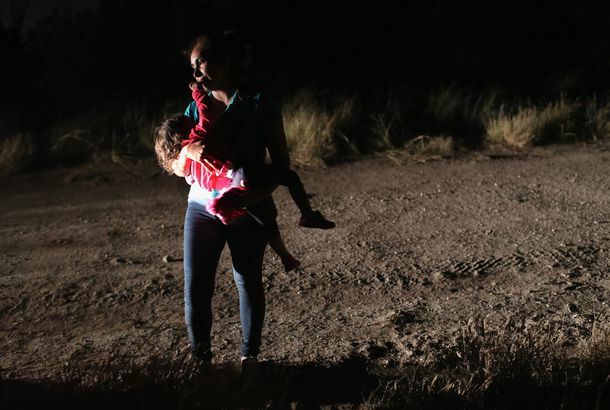 Mothers and Children Would Be Ripped Apart Under Reported DHS ProposalThe proposal, which is reportedly under consideration, seeks to deter women from illegally crossing the border with their children. Trump Can’t Find ‘Existing Funds’ to Start Building Border Wall As PromisedDHS has found only enough money to build a “handful” of prototypes, Reuters reports. Leaked DHS Report Undermines Trump’s Argument for His Travel BanIt says citizenship in the Muslim-majority countries included in the ban is an “unlikely indicator” of a terrorism threat. Internal DHS Report Puts $21.6 Billion Price Tag on Trump’s WallThe leaked report also says it will take 18 months longer to finish the wall than DHS head John Kelly says. Trump Administration Reverses Itself, Exempts Green-Card Holders From Travel BanIt now seems clear the Trump administration had no idea how the travel ban was supposed to apply to permanent residents. Obama Is Dismantling a Visitor-Tracking Program That Targets MuslimsThe timing would suggest he’s not eager to let it fall into his successor’s hands. Trump Cabinet Hopeful Forgets Cover Sheet, Exposes DHS Plan for All to SeeThe Kansas secretary of State met with Donald Trump Sunday and inadvertently provided insight into what he was proposing at DHS. Schumer and White House Exchanging WordsChuck Schumer, joined by de Blasio and Bratton, gets shirty about DHS funding. Boehner Concludes Biannual Test of the Government Shutdown SystemThe House passed a bill to fund Homeland Security, after their stand accomplished nothing. DHS Won’t Force Tourists From Ebola-Stricken Countries to Go HomeThey’ll be allowed to stay for 18 months. Jeh Johnson Confirmed to Head Homeland SecurityHe’ll replace Janet Napolitano. Jeh Johnson, Not Ray Kelly, to Run Department of Homeland SecurityObama is expected to announce the pick tomorrow. Joe Biden Fist-Bumped Ray KellyWhat does this mean? Ray Kelly Is Not Not Interested in That DHS JobSmart choice. Immigration Official Takes Leave Amid New Accusations“How long is it anyway?” she reportedly asked. Second Employee Suing Janet Napolitano Over Charges of Reverse SexismJason Mount says he was passed over for a promotion because he is a man.